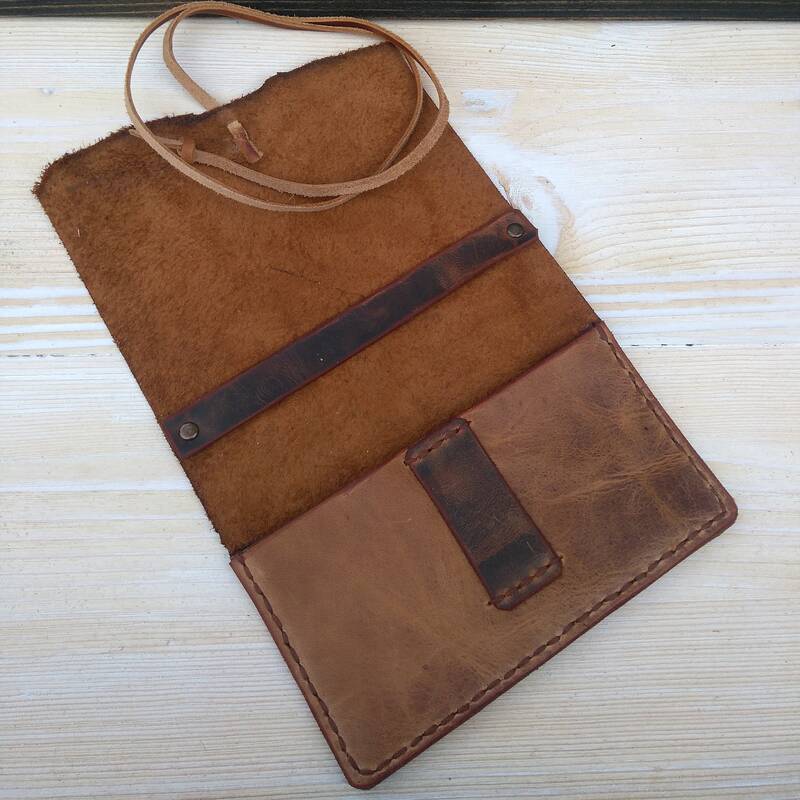 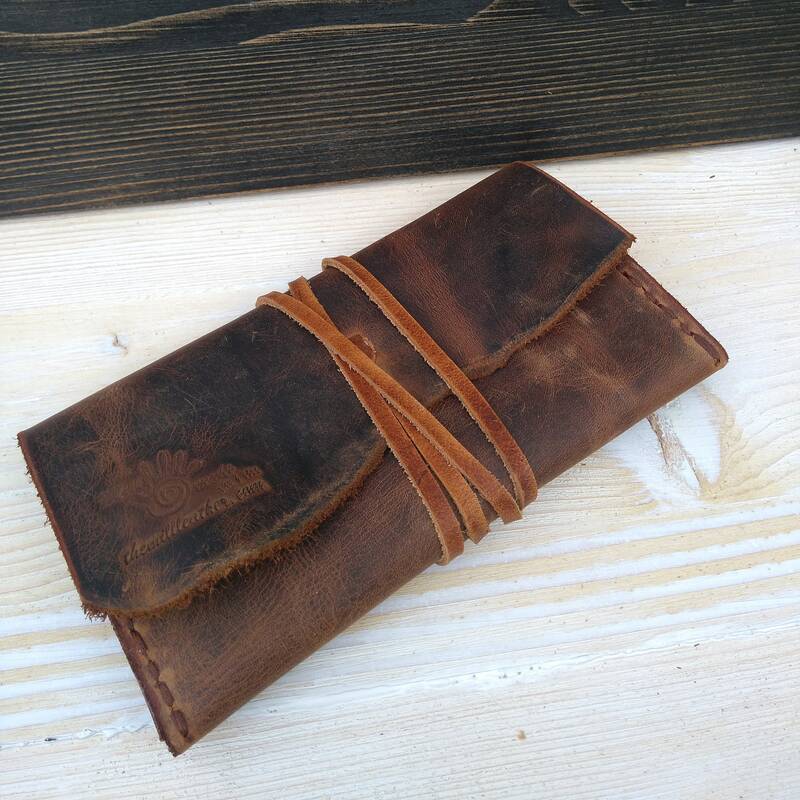 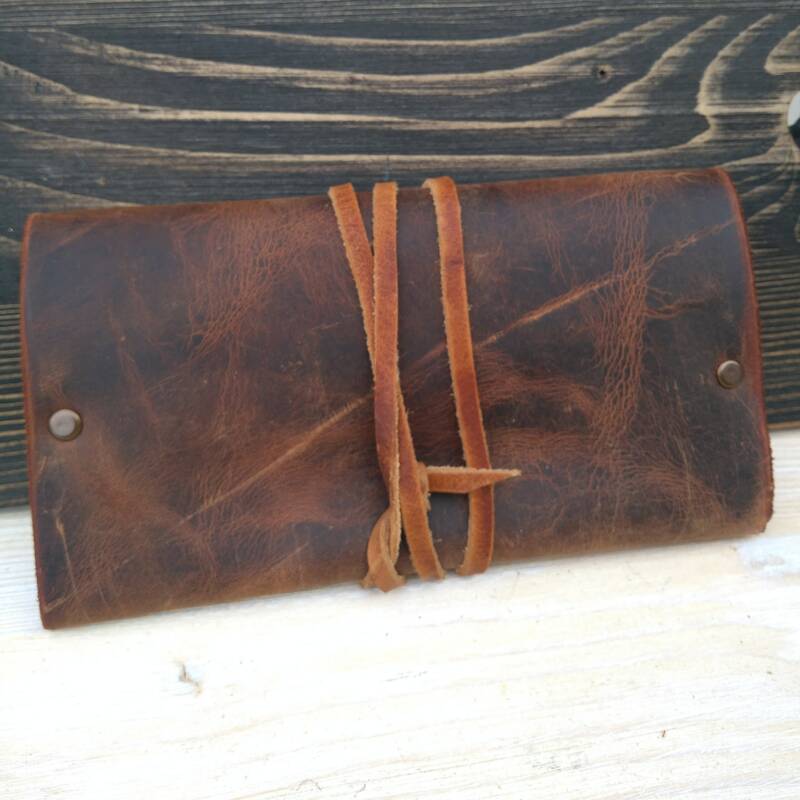 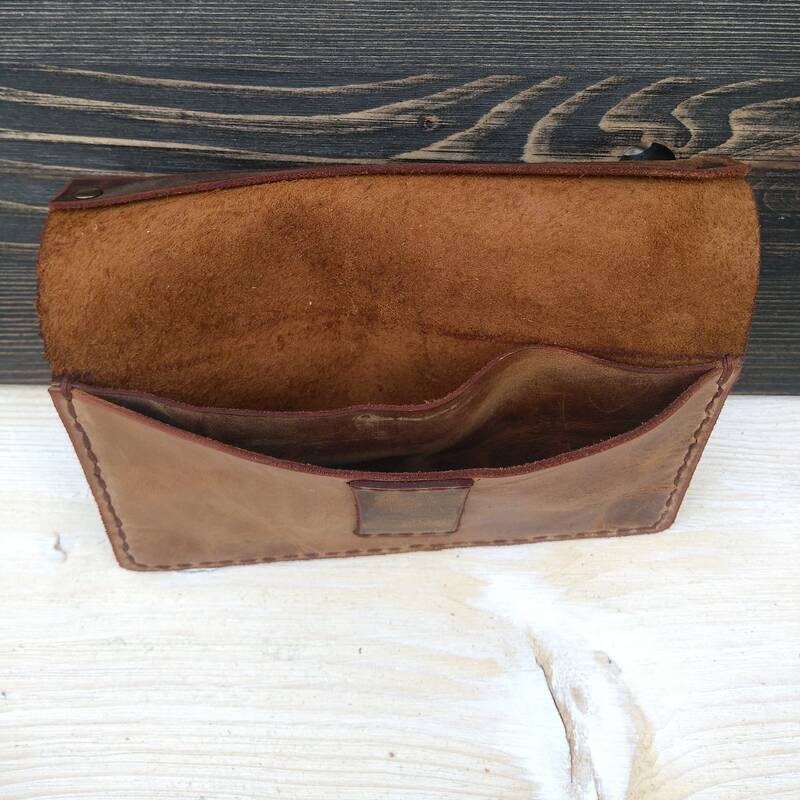 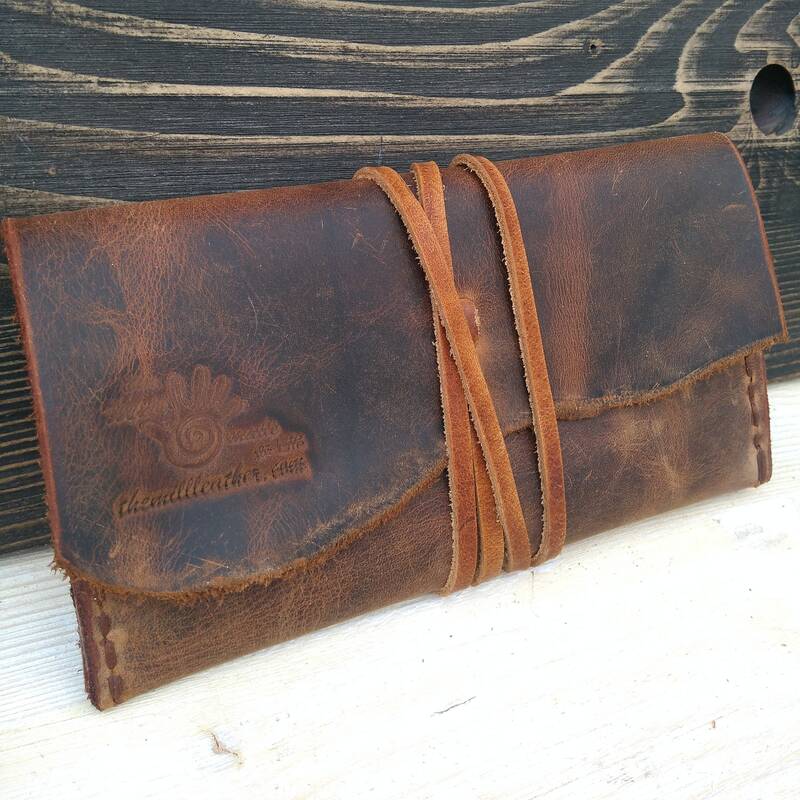 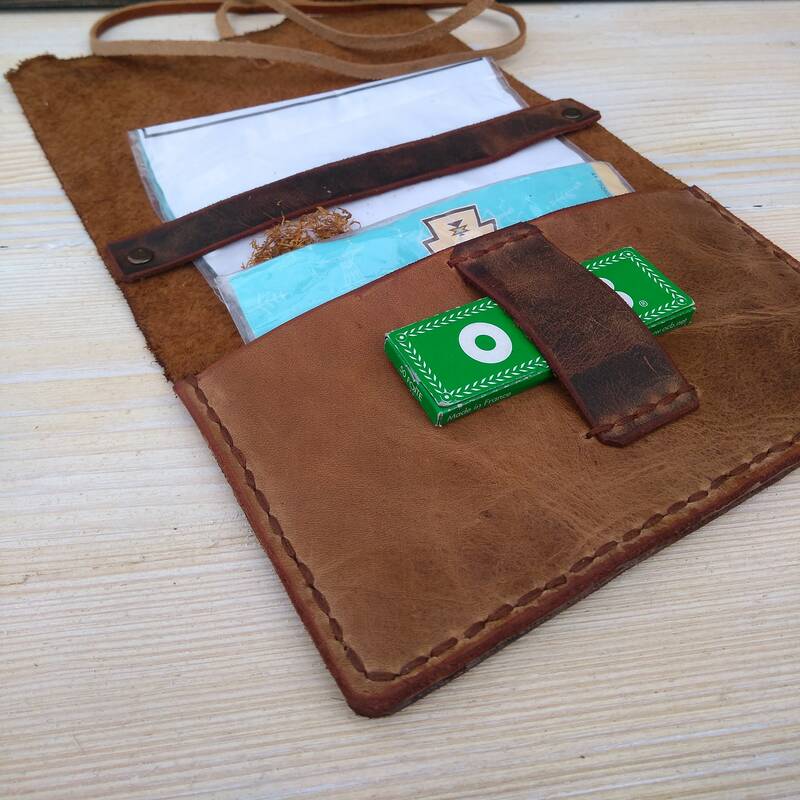 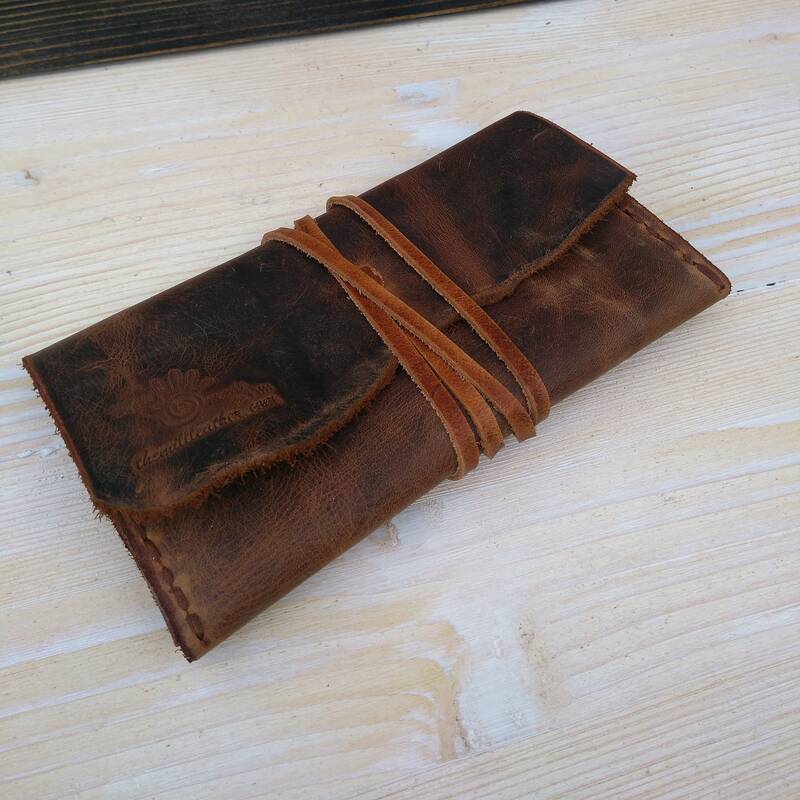 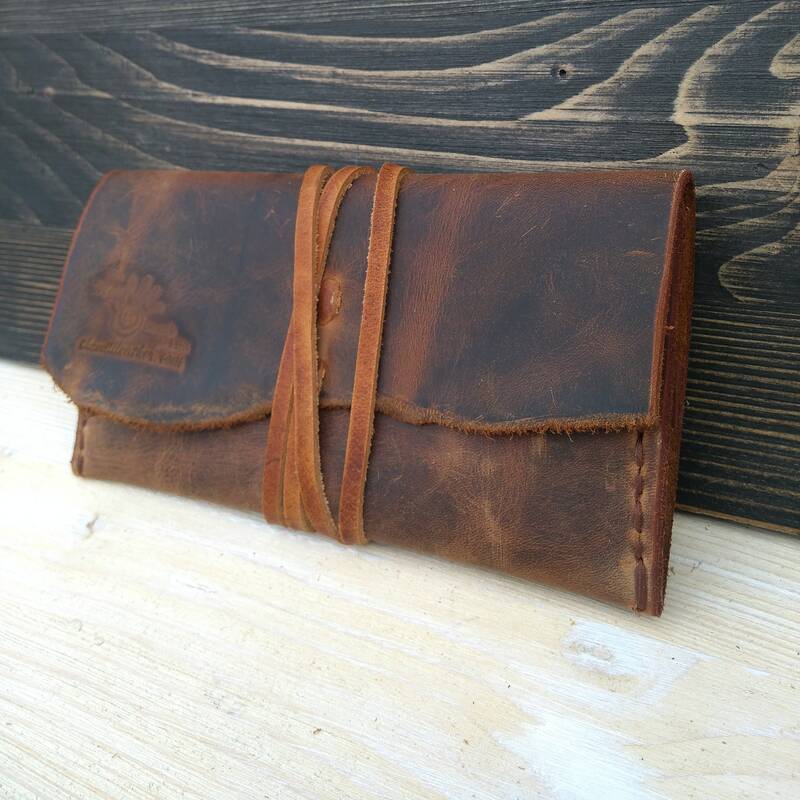 Handmade leather tobacco pouch to keep your smoking accessories organized. 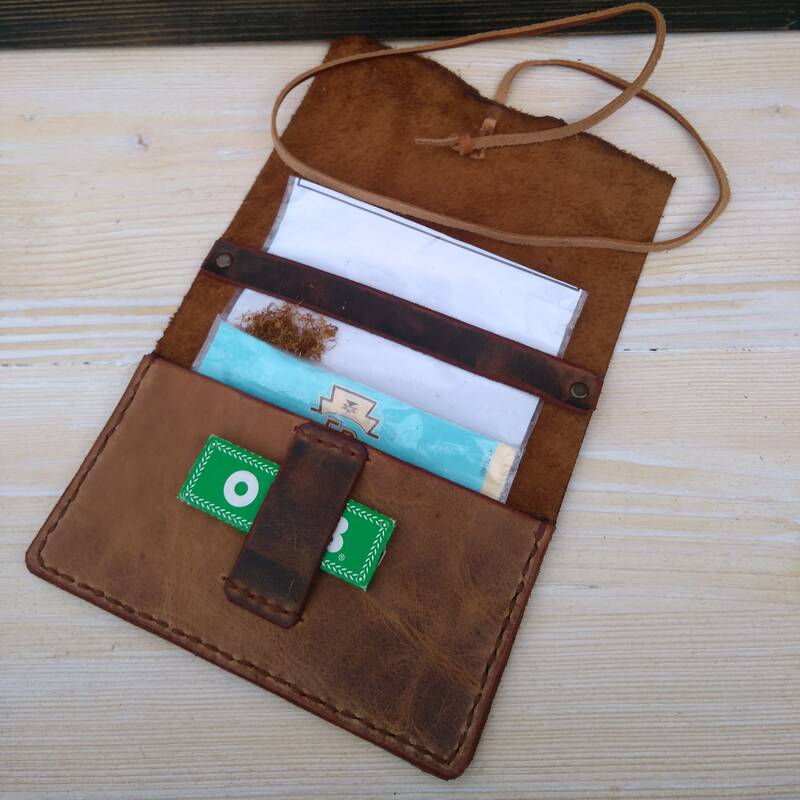 There is place for tobacco, filters, rolling papers and other smoking accessories. 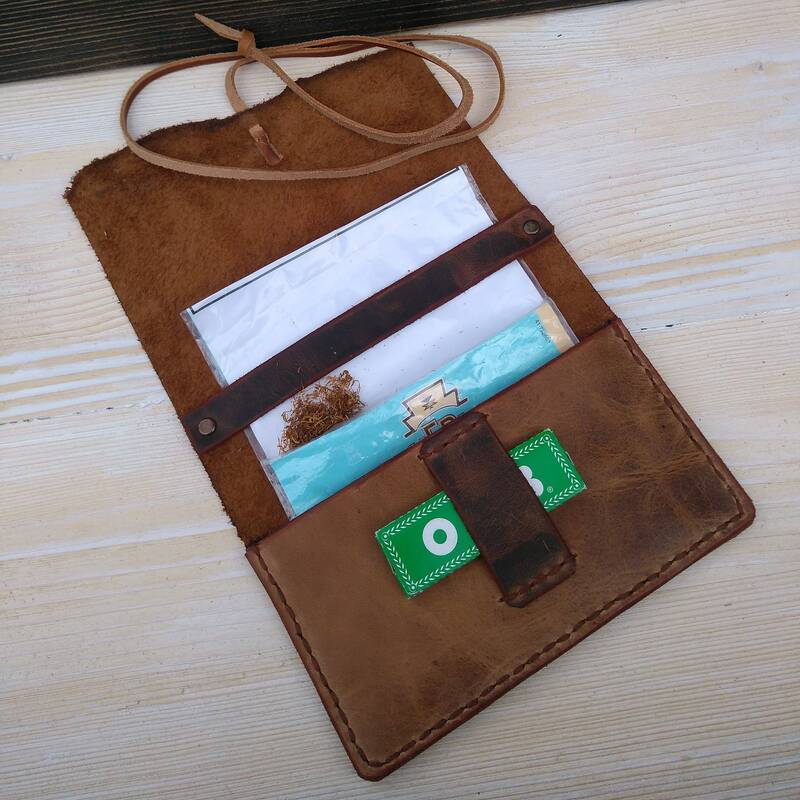 Very practical, this leather pouch is made to last for a lifetime.